When I was a junior at Montclair State in NJ, I had the opportunity to participate in a domestic exchange program to Chico State, CA. Chico, a bucolic town, is in the middle of nowhere, or at least that’s how it seemed in 1969. To my amazement, I found Armenians in Chico! living in my dorm introduced me to the Armenian guy she was dating: Roy Callan, from Oakland. As I recall, Roy was majoring in Physical Ed., and was on his church’s basketball team. He asked if I’d like to join him one Sunday to attend church, have dinner at his mother’s home, then watch him play basketball. Understand that I had NO idea how far Chico was from Oakland, so I accepted his invitation. Three hours after we left campus, we arrived at church! It was heart-warming to meet Armenians who remembered my family from back east. Roy’s mother was very sweet and hospitable. I explained that I was majoring in Home Economics, and that I had a Foods Lab project coming up. I wanted to make an Armenian recipe for my assignment, but didn’t have a cookbook to use as a reference. 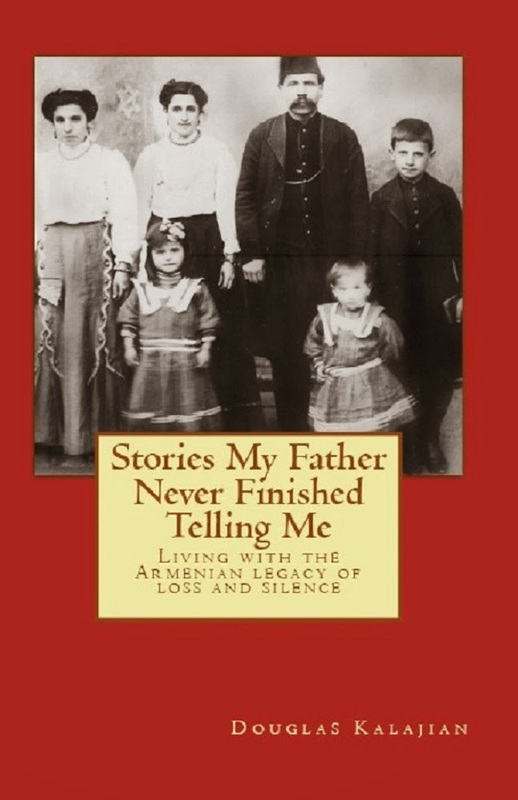 She let me borrow her favorite Armenian cookbook, which I took, then guarded with my life. I made sure it was returned safely and without any food stains! Our daughter, Mandy, had completed her studies at the University of S. Florida in Tampa and moved to NYC to get started on her career. My husband & I flew to NY, rented a car & took her on a spur-of-the-moment road trip through New England. We visited Mandy’s Godfather, Aram Aslanian, in CT, and my aunt Zabelle Keil, and cousins, in RI. On our way to Newport, RI to tour the opulent mansions, we saw a sign for Franklin, MA. 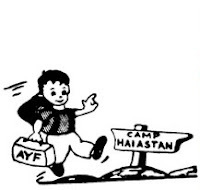 My husband asked if we would consider visiting Camp Haiastan in Franklin rather than going to Newport. We agreed whole-heartedly. I’d seen the Newport mansions before, and Mandy had seen plenty of stately homes on our rides through Palm Beach, but neither of us had ever seen Camp Haiastan. Doug was elated! Camp wouldn’t be open for a few weeks, but people were milling around, cleaning things up. After Doug’s trip down Memory Lane, we stopped in the office to see what was what. We found Roy Callan, the very same person I knew at Chico State, as the director of the camp! He & I didn’t resemble our younger selves anymore, and I had to explain, in detail, who I was & how we knew each other (refer to story above). Toward the end of our visit, we had the pleasure of meeting Roy’s wife, Degeen Joy, a joy, indeed! 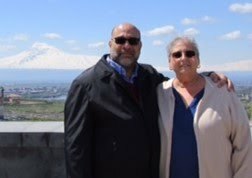 If you went to any city in America, (and some in other countries,) if you tried hard enough, would you find an Armenian friend-of-a-friend or distant relative? I suspect so. i sure did, in humboldt county! My family never made this . But I want to share my heritage at work ( and as much as I like them I am NOT rolling grape leaves!! )So I tried this. My Armenian GF from Syria makes it but with too much hot spice for my taste. This is good and I will make it for xmas party at work but next time will not use lamb ! I have not had lamb in forever and could not get over the taste of fat. Also I would love to make this with the pilsbury premade buscuit idea ! And would like the get the nest to taste more like what my aunts stuffing tasted like ( allspice?) or kufta seasonings . So glad this site is here for when I am homesick .